On May 14, there will be three-panel sessions of the Pittsburgh Business Show’s Diversity and Inclusion Certificate Program sponsored by the Pittsburgh Metropolitan Area Hispanic Chamber of Commerce. “Diversity is the key to prosperity,” said Melanie Boyer, Director of Development & Viability at the Pittsburgh Metropolitan Area Hispanic Chamber of Commerce. Boyer referenced a quote from Lili Gil Valletta, founder of the data analytics firm CIEN+ and their Business Person of the Year last year for their National Chapter, “It is mathematically impossible for America’s economy and businesses achieve their full potential without applying cultural intelligence into everything they do. The math clearly shows women and Latinos as the source of growth.” Boyer said this quote really encompasses the reason why companies need to work on Diversity and Inclusion. Boyer said the Diversity and Inclusion Certificate Program touches on corporate social responsibility, educating employees, and moving forward as a company to be more effective and more innovative. All attendees of the Certification program are invited to Celebrate the Winners of The Business Choice Awards at Noon and to stay for the Celebrate Pittsburgh Business Networking Event at 5:30 pm. Boyer said that business owners can not only move their companies forward with this program but by connecting with the Hispanic Chamber, business owners can push the community forward and make the community better by interacting with diverse people. Additional speakers to be determined at a later date. In between sessions, Cut n’ Run Productions will be sponsoring professional headshots for attendees. The Pittsburgh Metropolitan Area Hispanic Chamber of Commerce will also announce the details of a Diversity and Inclusion Program they will be offering. Boyer said those who attend the program at the Show may receive a discount on the program the Chamber plans to offer. All individuals who attend each of the three sessions will receive a workshop certification from the Pittsburgh Metropolitan Area Hispanic Chamber of Commerce and the Pittsburgh Business Show (one certificate). “This certificate program is a streamlined, inexpensive ($23.27 after taxes and fees) way for corporations to offer Diversity and Inclusion education to their employees while contributing to a good (and diverse) cause!” Boyer said. Tickets purchased through PMAHCC will be at a 70% discount, and 100% of proceeds will benefit the chamber (discount applied at checkout). 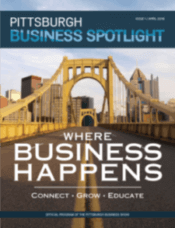 Click here to purchase your tickets for the Pittsburgh Business Show May 14 and 15 at the David L. Lawrence Convention Center. With your ticket, you will have access to the Diversity and Inclusion Certificate Program as well as exclusive networking events, and other valuable presentations and speakers where you can build your network and learn the skills you need to take your business to the next level.